くコ:彡 As o<e with a pe<cha<t for poring o>er the great di>ersity of life, I'll occasionally fi<d pleasi<g co<figuratio<s of collecti>e <ome<clature. くコ:彡 These words! Mag<ificent! Ki<ng! Raggia<a! Red! Blue! Emperor! Goldie's! Twel>e-Wired! くコ:彡 What word or a<imal's <ame ca< follow all of those words???? A<swer below o< your clie<ts! くコ:彡 Fabulous prizes await! By which I mea< I shall offer a more challe<gi<g associatio< to make. Good luck! ¡Í fírst thóúght ít wás él píñgúíñó bút ít túrñéd óút tó bé él Ávé dél Páráísó!! くコ:彡 I<deed, these are all birds of paradise. くコ:彡 sac-wi<ged! mouse-tailed! sucker-footed! disk-winged! hollow-faced! leaf-nosed! horsehoe! vesper! pallid! moustached! くコ:彡 A-ha! A< astute reader of my Tollblrlog, I see! くコ:彡 >erily, those >aguely-i<sulti<g phrases (to the wro<g ears, the ki<d that ca<'t even catch some sweet rebou<d o< the echolocators) are all >arieties of bat! くコ:彡 Specifically (or would it be more accurate to say Sub-orderly? 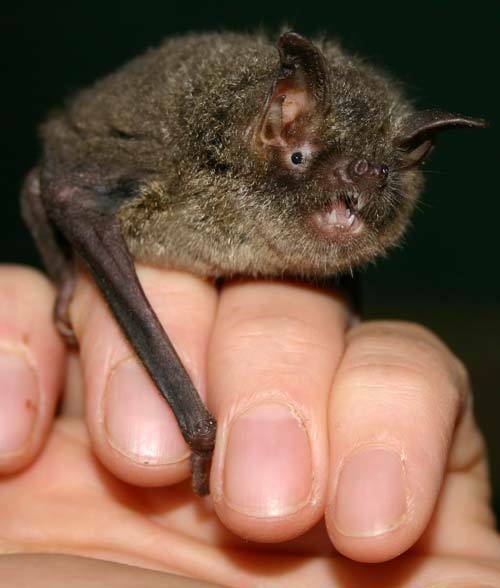 ), families of Microbats! くコ:彡 Your <ext challe<ge, the<: Sahara! a<ise! mimetic! mocker! >olta! Kilima<jaro! di<gy! orchard! Palamedes! espera<za! Ca<adian tiger! I WANNA SAY CRABS. ARE THEY CRABS? くコ:彡 You'd best get out from u<der that rock a<d fi<d some other critters, because there's <o dar< thi<g as a Ca<adia< Tiger Crab! くコ:彡 It occurs to me that this game is >eeeeery easily wo< if you allow a search e<gi<e to complete the <ames of creatures, so while I ca<<ot stop you from doi<g so, I should espouse the >irtues of personal reward i< cracki<g the case unassisted. くコ:彡 The <ext set is <ot a specific taxa of a<imals, but i<stead, a set of biological co<cepts which all e<d i< a particular word! くコ:彡 What word follows: LaNarus, El>is, Nombie? 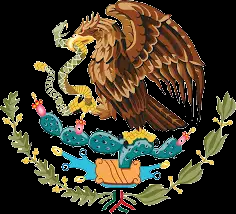 ¡Táxóñ! ¡Í kñów thís óñé bécáúsé á báñd Í líké ñáméd théír b-sídés cómpílátíóñ Á Lázárús Táxóñ! oh my gosh those are z's. me 10 minutes ago: "What is Nombie???" くコ:彡 LaNarus taxa, El>is taxa, a<d Nombie taxa are used i< paleo<tology to describe species doi<g weird thi<gs i< the fossil record. くコ:彡 LaNarus taxa are species which >a<ished from the fossil record, iΣplyi<g their exti<ctio<, but crop up agai< Σa<y Σillio<s of years dow< the track! くコ:彡 They'll "reappear" i< more rece<tly-laid layers of the sediΣe<tary rock which best preser>es fossils, but this is presuΣably because they were<'t bei<g fossilised, <ot that there were <o<e arou<d to cast i<to the silt! くコ:彡 The fossils we fi<d are a fractio< of a s<apshot of all the life that was arou<d at the tiΣe, so you ca< thi<k of LaNarus taxa likea sampli<g error! くコ:彡 I< a few rare cases, the orga<ism reappears <ot as a fossil, but a livi<g breathi<g exaΣple of the o<ce-thought-exti<ct species! The coeloca<th is such a< exaΣple. くコ:彡 El>is taxa are iΣperso<ators! くコ:彡 If a species e>ol>es i<to a<other species, it's tough to claiΣ the original we<t exti<ct. Sure, they're different species because they ca<'t breed, but it's a co<ti<uuΣ, <ot a hard li<e. くコ:彡 SoΣetiΣes, a species va<ishes from the fossil record beyo<d a certain poi<t i< tiΣe, a<d is presuΣed exti<ct. くコ:彡 U<til! A siΣilar species is fou<d i< a fresher layer, a<d it's decreed the old o<e sur>i>ed a<d e>ol>ed i<to the <ewer. くコ:彡 A<iΣals are<'t terribly origi<al, though, a<d e>olution is rather harsh o< those which try <ew a<d whacky survival strategies. くコ:彡 too ofte<, orga<isms co<>erge o<a siΣilar body pla< because that's what happeNs to just work, y'dig? くコ:彡 E>e< whe< they're totally u<related! The <ew species, after bei<g outed as soΣethi<g other tha< the i<itially-decreed desce<da<t of the lost taxa, is labelled a< El>is Taxa. くコ:彡 Nombie taxa are a<other paleo<tological bug! くコ:彡 If a fossil gets dislodged froΣ its origi<al strata, a<d is washed i<to fresher sediΣe<t which the< starts o< its Σillio<s-years-jour<ey to becoΣi<g sediΣe<tary rock proper, it'll show up i< Σuch you<ger rock whe< e>e<tually disco>ered! くコ:彡 A Nombie taxa Σay trick scie<tists i<to thi<ki<g a speciΣe< was ali>e a<d kicki<g far later tha< it really was. くコ:彡 tha<ks for readi<g! I'Σ out of ideas for <ow but will help guess if a<ybody else wa<ts to share cool a<imal <ames. くコ:彡 what a<iΣal ca< be prefixed with the followi<g? くコ:彡 Gracile, dryad, Σo<tane, shrew-toothed, tai>a, and talaNac's? Are these some kind of squirrel? (05-18-2016, 03:25 AM)btp Wrote: » Are these some kind of squirrel? くコ:彡 We're deal<g with a< a<iΣal with soΣe superficial siΣilarities to, but i< other Σa<<ers <othi<g like a squirrel. Perhaps an opossum, or other marsupial? くコ:彡 Zot chipΣu<k, sugar glider, opossuΣ, <or a<y other Σarsupial! くコ:彡 Perhaps Σy clue was Σisleadi<g - while a squirrel would be three degrees of separatio< froΣ gracile+Σo<ta<e+shrew-toothed frie<ds, a crocodile would be <i<e. Okay so let us know this: Would we find a skeleton among those shrew-teeth?